Millicent Parsons Sofley, 82, of Cary, NC passed away on November 21, 2017. Millicent was born on May 17, 1935 to the late Weldon Thomas and Fannie Belle Parsons. In addition to her parents, Millicent was preceded in death by her husband Carl and her brothers Tommy (Weldon Thomas Jr.) and Glen. She grew up in Charleston, SC, a place that remained dear to her heart. After graduating from Catawba College, she taught high school history in Mocksville, NC where she met her future husband, Carl. The church and her family were always the focus of her life. 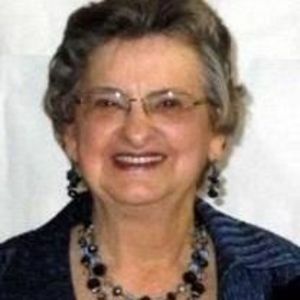 She was an active member of White Plains United Methodist Church, where she taught Sunday School, was Circle chairman, and served on various committees. She always received joy from helping others which was shown in her years working at Warmth for Wake and volunteering with White Christmas and Meals on Wheels. She enjoyed reading, crafts, playing the piano, and spending time on the lake with her family. Her enthusiasm for life and positive outlook were an inspiration to those around her. She is survived by sons Dr. C. Wilson Sofley, Jr. (Fran), Henry (Lisa), Allen, daughter Marcia, grandsons Matthew and Brian, and many cherished cousins, nieces, and nephews. A memorial service will be held on Sunday, December 3, 2017, 1:00 p.m. at White Plains United Methodist Church, followed by a reception. In lieu of flowers, contributions may be made in Millicent's memory to WPUMC Book of Remembrance c/o White Plains UMC, 313 SE Maynard Rd., Cary, NC 27511 or the Jimmy V. Foundation.